And I’m back to writing my PopMatters column, though a few days late thanks to a mixup in the backend, but what can you expect when I don’t write anything for over two months. Hearthstone has been taking up a lot of my gaming time in recent months, so I figured I should speak to my feeling about it. I was really into it starting out. Every day I would play for quite a long time. But then I hit the free-to-play wall. There is a point where you can play all you want for free and still progress, but sooner or later you will hit a wall like driving into a pond of molasses. Hearthstone isn’t a skinner box and has a game outside of its monetization effort and so long as that is engaging enough, hitting that wall isn’t so much a problem. But soon I did hit a problem. If you are playing for free you have to choose your deck pretty much immediately and work all your resources towards the cards needed. I choose kind of poorly or rather after I choose the game went out of vogue in the metagame. It’s best match ups disappeared and it’s worst became more played. There is a version of my deck that works now, but it requires too many Legendary cards. Effectively I have hit the pay wall if I wish to be even minorly competitive. Also, Casual is really just Ranked but for people too chicken to risk their rank as the matches there are just as ruthless. Spending this much time losing makes one look as to why. At first you start with your plays, then your deck and then the metagame. But finally one ends up looking at the game’s fundamental design. I was a Magic player for years and despite being pretty good, I lost just as much as I do in Hearthstone. It wasn’t until I couldn’t keep up with the cost and had difficulty finding games that I quit. I still lament not being able to play. I have been a Hearthstone player for a few months and I don’t really care to go back. This piece was my findings and reasoning as to why. Honestly, I feel really good finishing my rough draft by hand. Even better when I typed it up and improved it by adding and moving paragraphs around. Now that it’s published I feel like those 2000 words weren’t enough to detail the comparisons. It feels like all I did was dip my toes into the issue rather than fully explaining myself or anything really. Maybe it should have been 5000 words or 10,000. Hell, maybe my comparisons aren’t fair at all. Magic has been putting out sets and brand new cards for over 20 years. 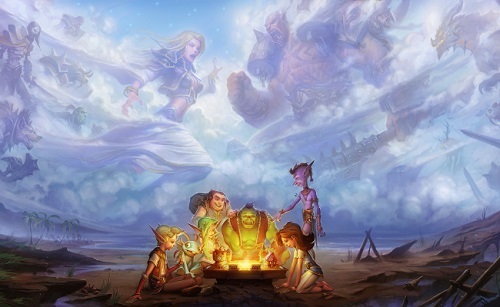 Hearthstone as is now may only be the equivalent of Alpha only play in Magic. And yet I can’t help, but feel that loss of strategy and tactics.